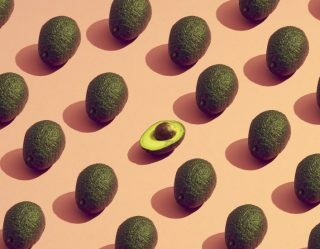 If you own any business you’re bound to get at least one negative review — it just happens. But the key is in how you react after receiving the complaint that shows just what kind of business you truly are. 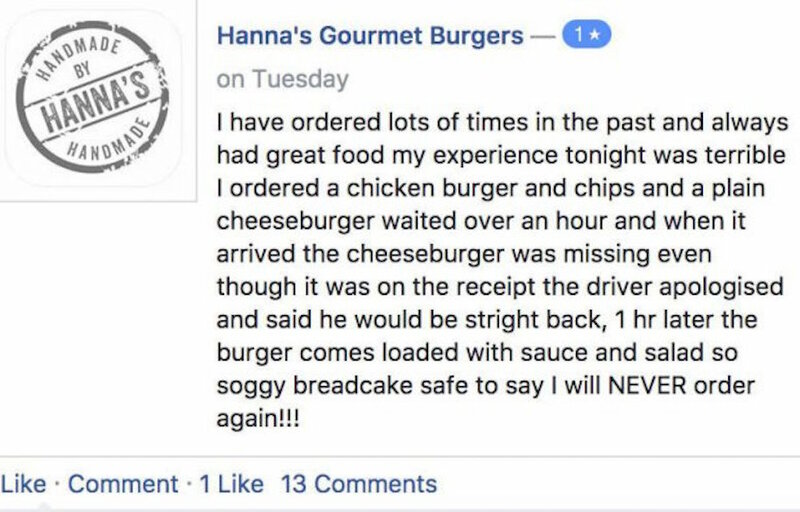 Well, let’s just say that Hanna’s Gourmet Burgers in the UK has one owner that doesn’t want to receive any kind of negativity. Let us explain. 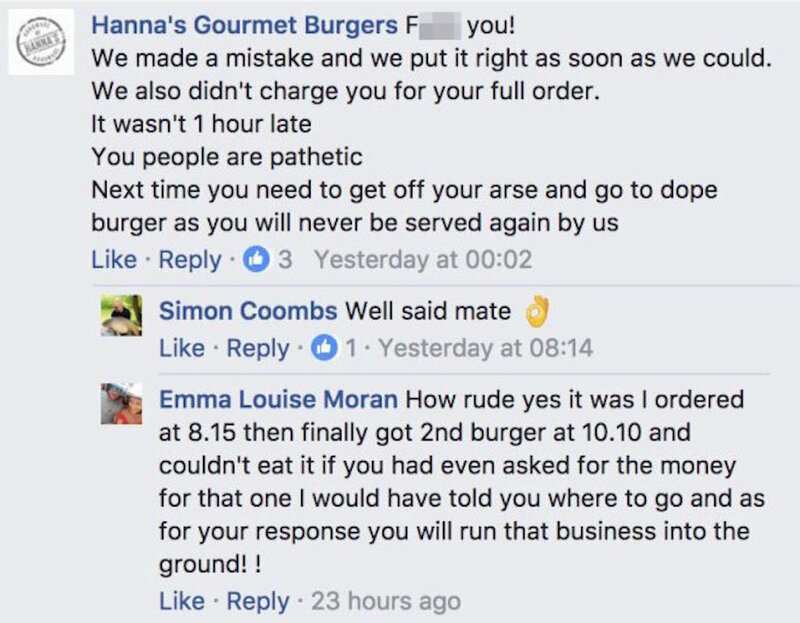 A woman named Emma Louise Moran decided to share a negative review on Hanna’s Gourmet Burgers Facebook page after a driver forgot part of her order, and then still returned an hour later with the wrong burger. In conclusion, this driver was an idiot. So this is the review Moran left. And how did Hanna’s respond? Well let’s just say the first words in the response were “F**k you.” Yep. And then they go on a complete tirade. Check it out. “You people are pathetic, next time you need to get off your arse and go to Dope Burger as you will never be served by us again,” is just one of the things Moran is told. 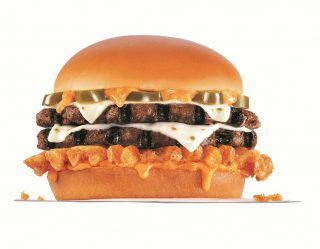 Also, “Dope Burger”? Really? That’s the harshest thing they could come up with? The burger joint wasn’t done there as it even made fun of Moran’s name, as it’s close to “moron.” Again, elementary-style insults. 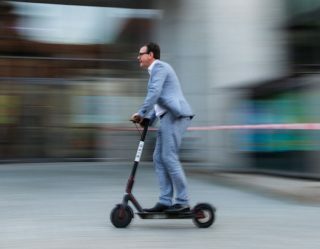 “When I occasionally come across such individuals I show them up for exactly what they are – ‘freeloading whiners.’ I have even published “freeloader of the week” and shamed these people for their behavior. Oh boy. 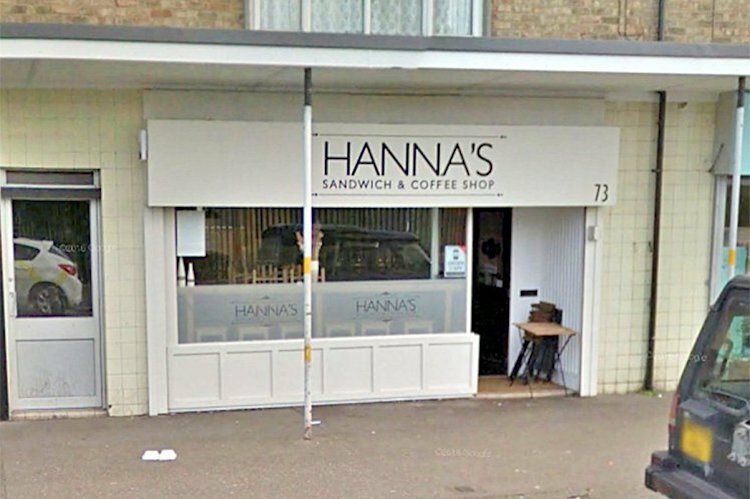 Obviously Hanna’s has been bashed left and right on their Facebook page for their terrible approach to negative reviews.